When you work up a sweat from exercise, you can actually trap moisture under the breast that can cause a rash. CHKOKKO Sports, Gym, Running Racer Back Non Wired Padded Sports Bra for Women is just an amazing product in chkokko fashion and sports store. It features a flat seam across the bottom that helps to reduce irritation caused by chaffing. 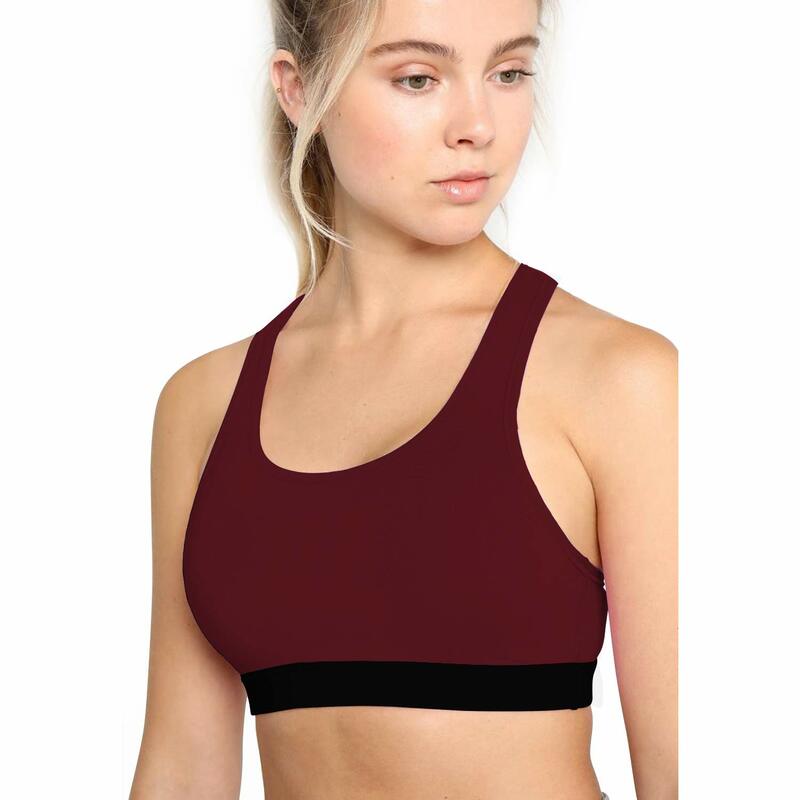 This sports bra features a racer-back that helps your movement in 4 way- direction, it also features nylon stabilizers and the straps gives you a comfortable fit for extra support and prevent bounce during vigorous movement.This High impact Sports Bra and a comfortable racer-back features a smooth body-wick fabric to keep you cool during cycling, running, gymmimg and exercise. You can actually trap moisture under the breast that can cause rashes. Feel Free to Contact us at Our Customer Care Team 0161-5000023 for any query.